Although there is no one standard size for poster printing, the most common poster sizes are A1 (841mm x 594mm) and then also A2 (594mmx 420mm). We also supply poster frames (shutter frames and poster stands), to read more click here. Posters can also be laminated, please email your specifications so that we can quote you on this. 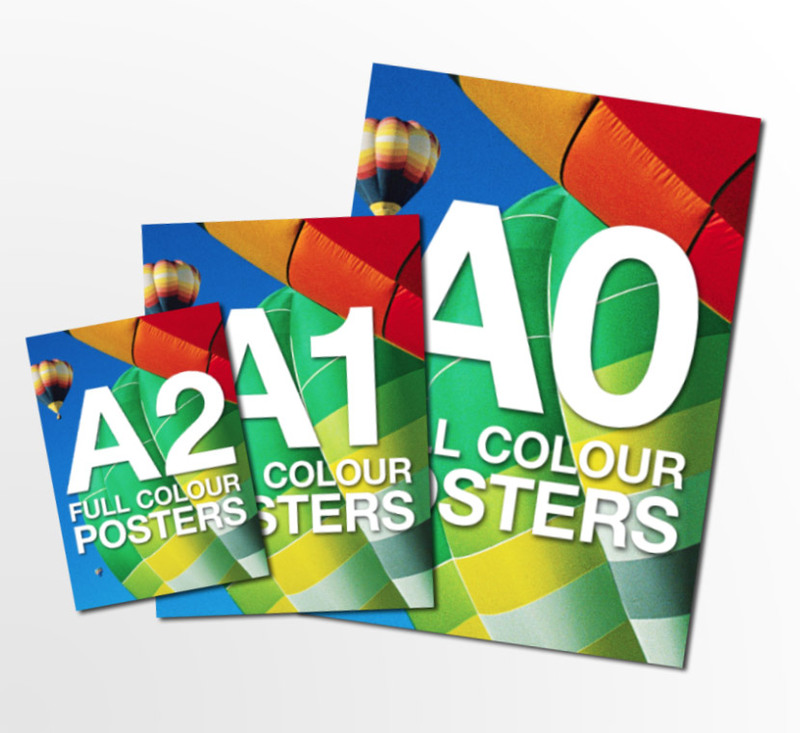 Posters can also be presented very neatly by displaying them in an aluminium shutter frame, which is available in all standard poster sizes from A4 to A0. When posters are ordered in low quantities, for example less than 30 posters in the case of A1 and 60 posters in the case of A2, we make use of the digital printing process. We print these digital posters on 200 gsm semi-gloss poster paper. If you are in need of a custom size poster print the only limitation is the width of our printer which is 1.3m wide. We also offer poster block mounting, send us an email if you would like a price for this.